Diplomate, American College of Veterinary Anesthesiologists, Professor of Anesthesiology, Department of Veterinary Clinical Sciences, School of Veterinary Medicine, Purdue University, IN, USA. 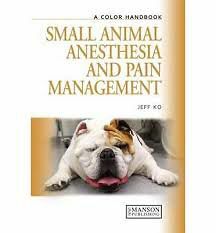 The book covers anesthetic equipment, monitoring, premedication, intravenous induction agents, injectable anesthetic combinations, inhalant anesthesia, anesthesia for specific diseases, fluids, anesthetic emergencies and complications, acute and chronic pain management. Drug dosages and anesthetic protocols are provided in tabular form. The book contains a wealth of superb illustrations.